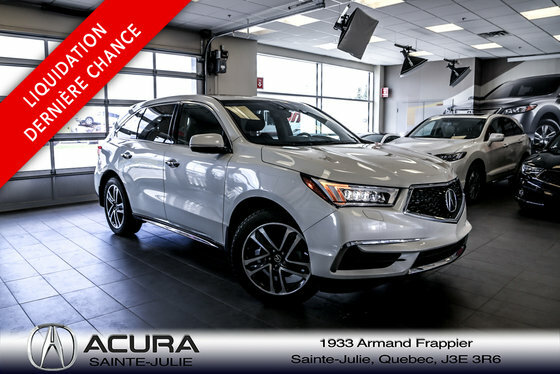 Extremely comfortable, spacious, well equipped and reasonably priced, Acura's midsize luxury SUV continues to make an impact on the market. The MDX is a 7-seater that relies on a 3.5-litre 290-horsepower V6, 4-wheel drive and a 9-speed automatic transmission that maximizes fuel economy and driving pleasure. Want to try the 2017 Acura MDX Nav Pkg DEMO ON SALE?